“Music is on!” Varsity dance Coach, Jamie Swenning, shouts to the girls as they are standing in first formation, ready to practice their whole kick dance for the first time this season. 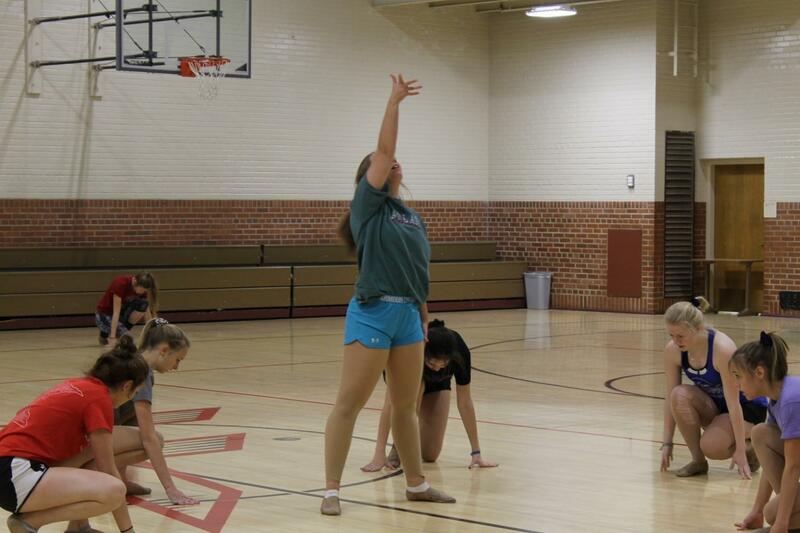 The dance team set a goal to finish both kick and jazz by the third week of practice and they did just that. “I think the reason that the kick dance is going so well this year is because we all really like the music,” says varsity dancer, Emilee Burr. The varsity kick theme this season is “Girl Power”. Three of the many songs mashed into the music are, “I Wanna Dance With Somebody” by Whitney Houston, “Respect” by Aretha Franklin, and “So What” by P!NK. Freshman, Olivia Villarreal describes how “Girl Power” is a good fit for the team. “I think the theme suits our team perfectly since we are such a strong group of girls. I also love the music because the songs represent the message so well.” When listening to the kick music the theme is well understood and it isn’t a struggle to find or understand it. The varsity jazz team is dancing to the song “Don’t Stop Believing” by Journey. Varsity Coach, Jamie Swenning, mentions her connection to the song. “I grew up listening and dancing to this type of music, but I’m not the only one who enjoys it. The girls and their parents seem to really like it as well.” Although the song was released in the 1980s, it’s still very well known and recognizable. “The song is such a classic that almost everybody knows it,” says Swenning. The goal for the jazz team this year is to make it to state and they have upped their game to do just that. “I think the choreography for our jazz dance is a lot more complicated than past years, but that’s a good thing because it gives us difficulty points,” says varsity jazz dancer Anna Dubbels. With the season only on its third week, the dancers already have very positive things to say about the music and the choreography this year. With the intent of going far in the season, the girls are prepared to work hard and come together as a team to really get their theme’s across and make it to state in both kick and jazz.